Company Philosophy | Development, Production and Sales of touch panels | SHOEI CO., LTD. The idea that “ten years is an epoch,” meaning that a lot can change in just a decade, is already outdated. Today, in not five years or three years but in only a couple of years, the world can literally undergo immense change. 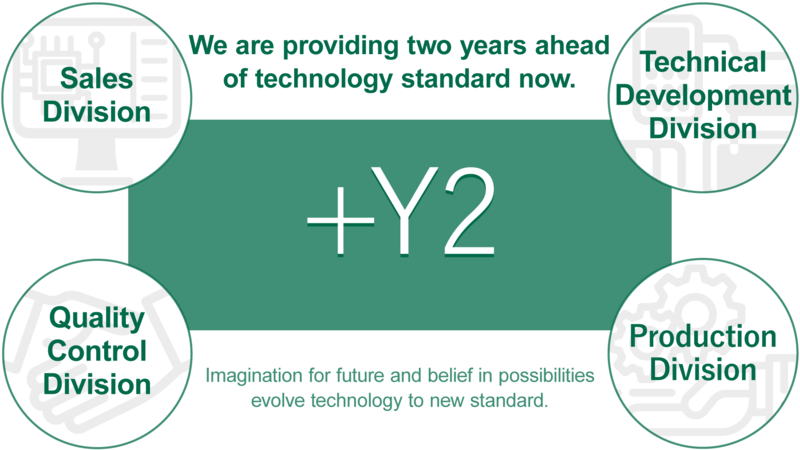 We engage in production activities to provide the market with products based on technology that will be standard in a couple of years, today. We are continually organizing our equipment and human resource environments with this aim in mind. In terms of motivation inside the company, each employee sets goals to be achieved in two years’ time both at the company as well as in their private lives. We ask ourselves what we can do today to make those goals a reality and then engage in production activities with this strong spirit. The production and sales of touch panels, including those for automotive use, are expected to grow rapidly. However, as global competition intensifies due to this growing market, we must develop innovative technology ahead of our competitors. We address this issue by using our assets – sharing the mindset and communicating information. Requests from customers and advanced information are shared seamlessly between sales, development, manufacturing and management teams, and this concerted effort means we can successfully offer the smooth supply of products. 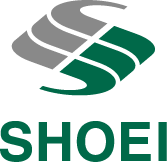 One of SHOEI CO., LTD.’s special strengths is product development based on integrated production linking each department together through a cross-sectoral network. For each project, we build a team made up of members from the sales, technical development, quality control and manufacturing departments. We set the targets to be achieved according to per-project orders based on information sharing. We then create prototypes after a process that runs from basic research into materials and technical development to manufacturing and accuracy checks. We establish a production system through production plans carried out in parallel with customer verification and feedback. These network systems uniquely developed by SHOEI for each phase allow us to supply products boasting superior precision and efficiency. SHOEI develops and produces touch panels tailored to a wide variety of applications. Our offerings include resistive touch panels used as genuine parts by many domestic and overseas car manufacturers, capacitive glass-based touch panels which are enjoying growing demand in the car navigation market, capacitive film-based touch panels used in various large-sized displays as well as 3D and variant-shaped touch panels, and infrared touch panels. As a dedicated manufacturer, we are uniquely positioned to deliver products through integrated systems, and along with their superior operability, these products have earned a reputation for being reliable thanks to their high precision and durability, even among overseas customers. When we develop our products, high quality is our top priority at every stage, from product development and design to purchasing, manufacturing, inspection and sale. In doing so, we spread the idea of made-in-Japan quality to the world. We have obtained ISO9001 and ISO/TS16949 certifications, and established quality management systems that satisfy the level of quality our customers require.